2013+: Astroscale has been set up for debris monitoring and tracking, plus eventually developing innovative solutions for debris removal. They raised $25m in 2017. 2015+: DARPA needs to, now and then, create something that generates a profit. Perhaps DARPA's Futuristic Phoenix Satellite Recycling Project will not only harvest satellites, but save the space industry a lot of time and money avoiding orbital debris collisions. 2017+: D-Orbit is develping a proprietary solid-propellant technology for the commissioning and decommissioning of satellites. 2017+: Launchspace Technologies proposes sending platforms as large as football fields into low Earth orbit to sweep up space debris. The platforms, equipped with sensors, could help the U.S. government detect and track orbiting satellites and debris. 2020: According to Fast Company, Russia has a $2billion plan to remove about 600 satellites out of orbit and into a fatal decline into the atmosphere. Expect some expensive shooting stars. There are numerous companies scanning the skies for debris, including, Electric Optic Systems which listed on the Australia Stock Exchange. 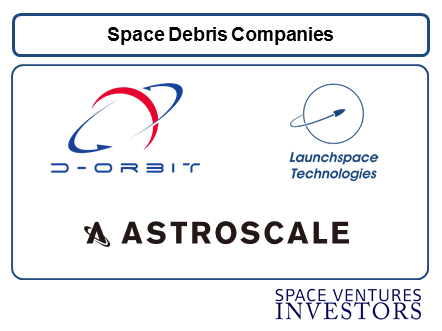 At Space Ventures Investors we are forward looking and perceive the problem, the reaction and the solution: Space debris is not a problem until something gets destroyed, the reaction is (apart from more debris) a legal dilemma as a sophisticated and expensive piece of equipment destroyed in space opens up a whole new legal playing field, or pardon the pun, orbit of opportunities. 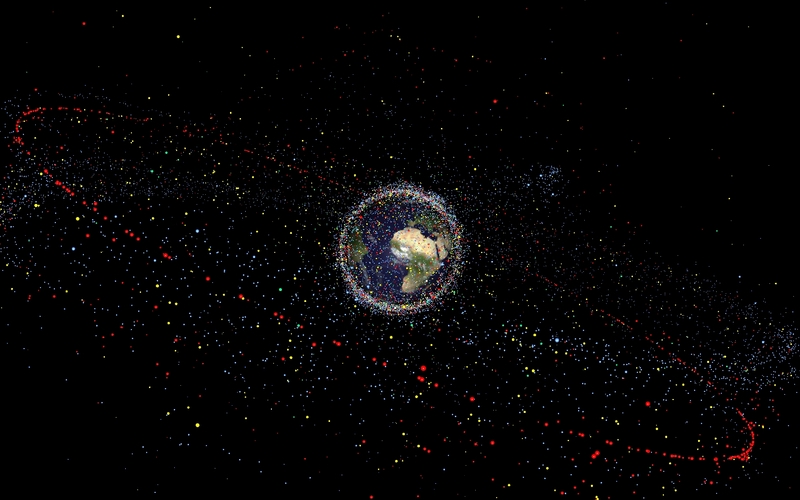 The destruction of property is one thing, but the global pre-meditated avoidance of the destruction of space property is another jurisdiction yet to be enforced; once the rules are in play that space debris is from a forensic point of view (where possible) attributable to a particular provider of said space debris, then the applications will arise in earnest to meet the challenge: Zero Space Debris Commitments and Internationally Mandated Space Debris Remove Operations. At this point, perhaps 2020, the applications on the drawing board for removing debris from popular and practical orbits suddenly become interesting, and after trials, profitable. The Infographic below is from SPACE.com: All about our solar system, outer space and exploration.